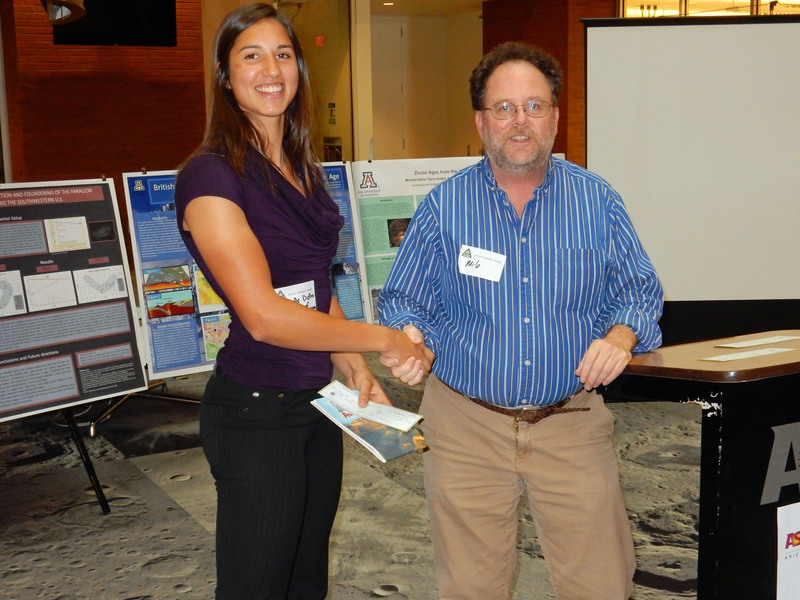 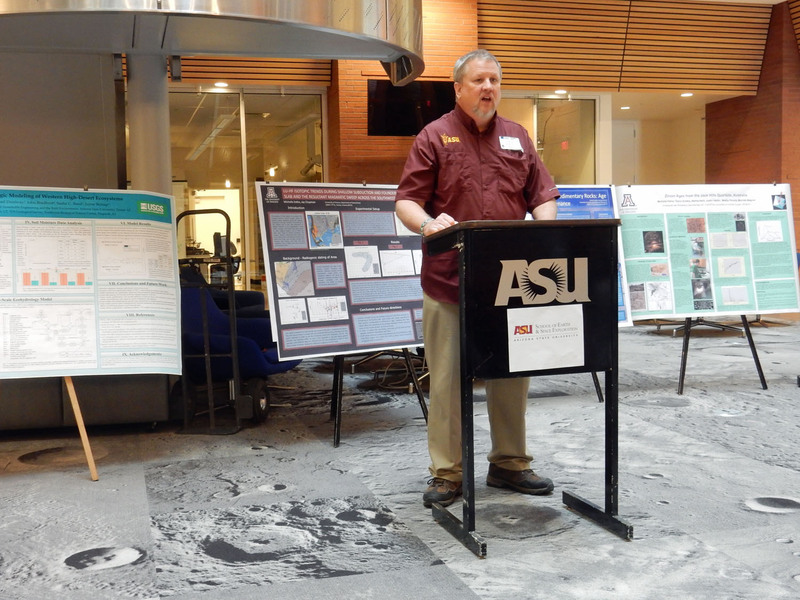 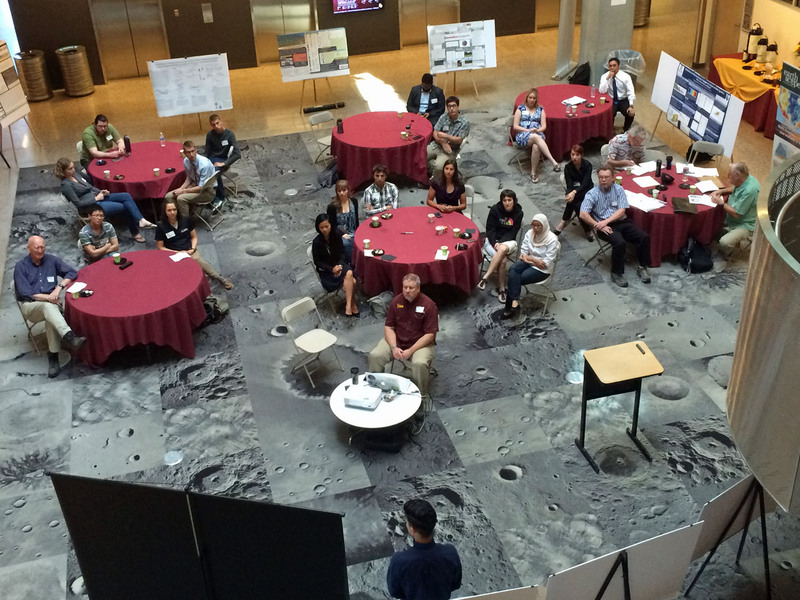 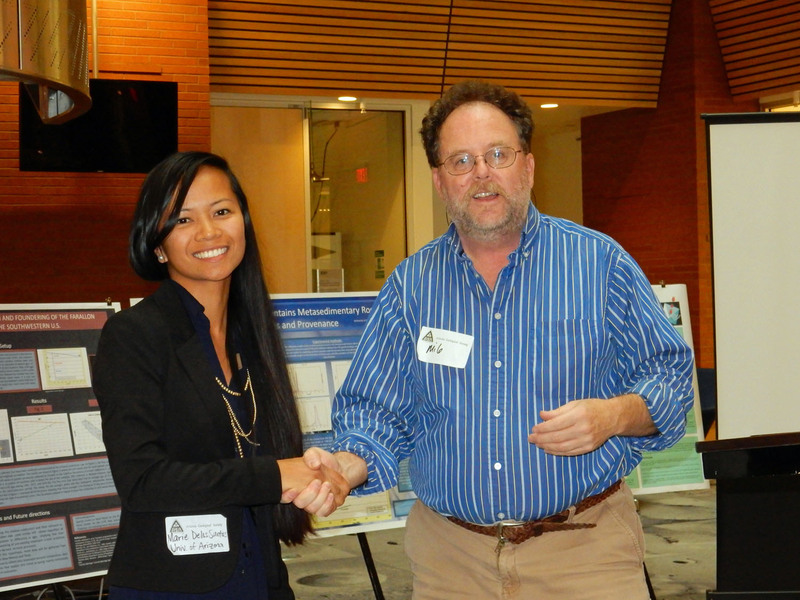 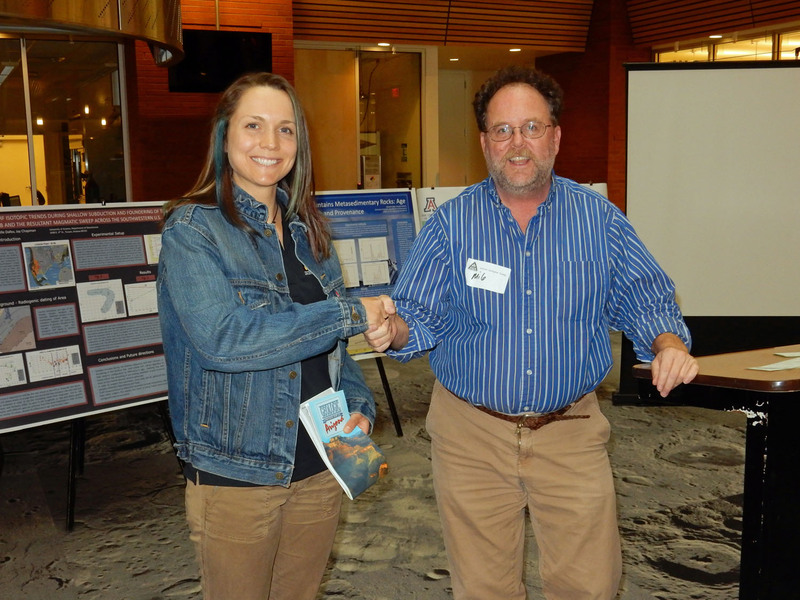 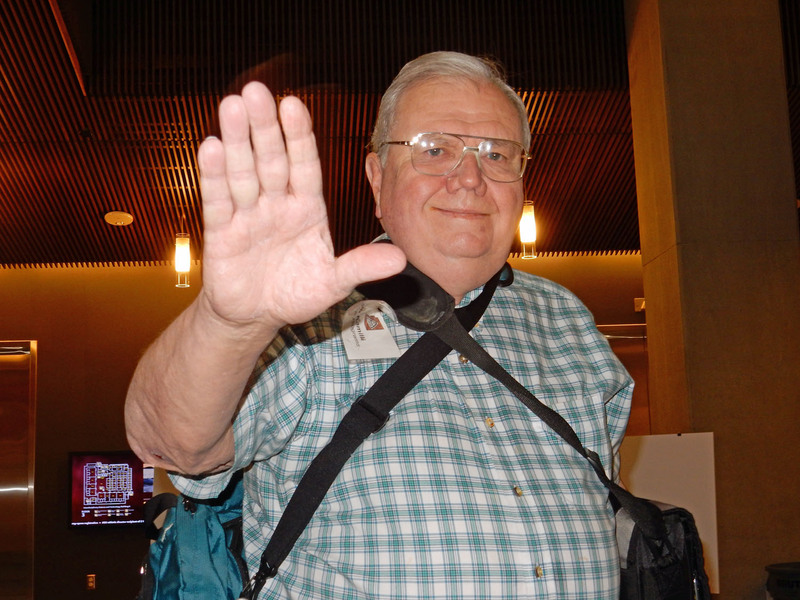 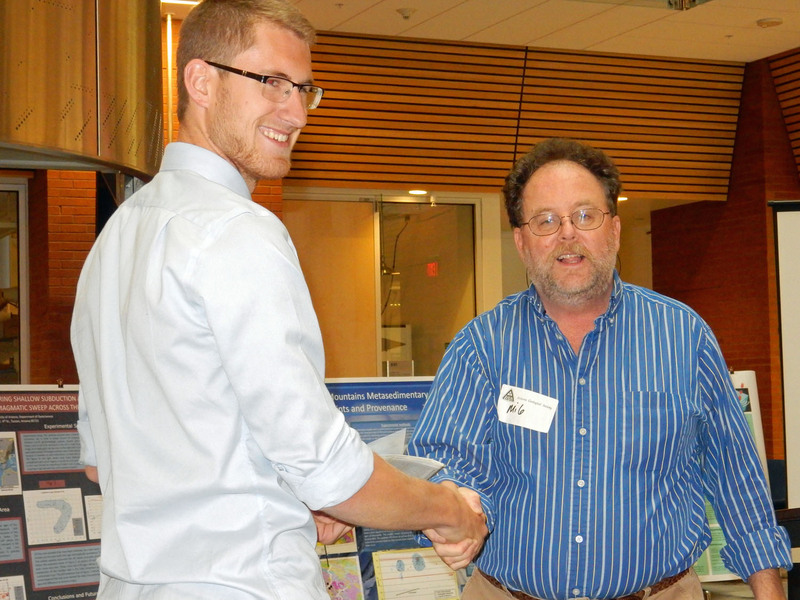 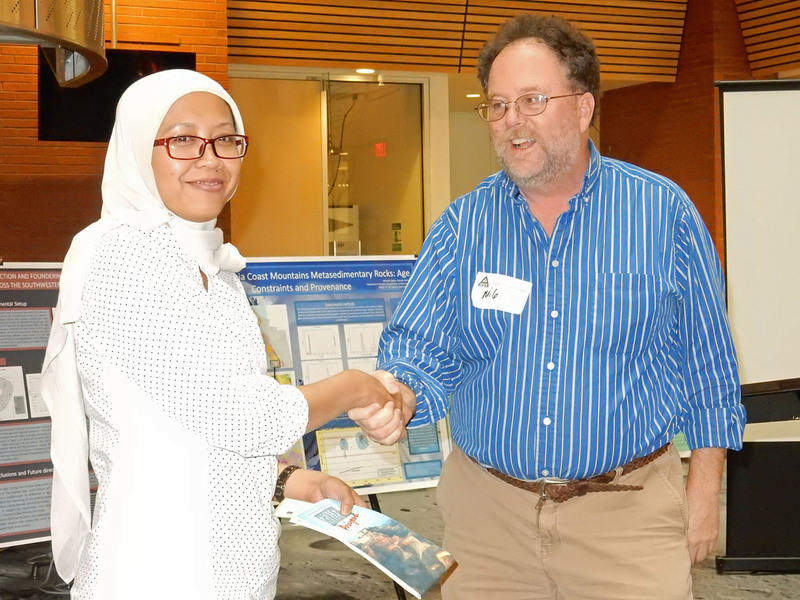 The Arizona Geological Society thanks the students, judges (Carl Bowser, Gordon Haxel and Nyal Niemuth), and our corporate sponsors (Geotemps and SRK Consulting), who participated in our annual student poster event at Arizona State University on Saturday, April 18, 2015. 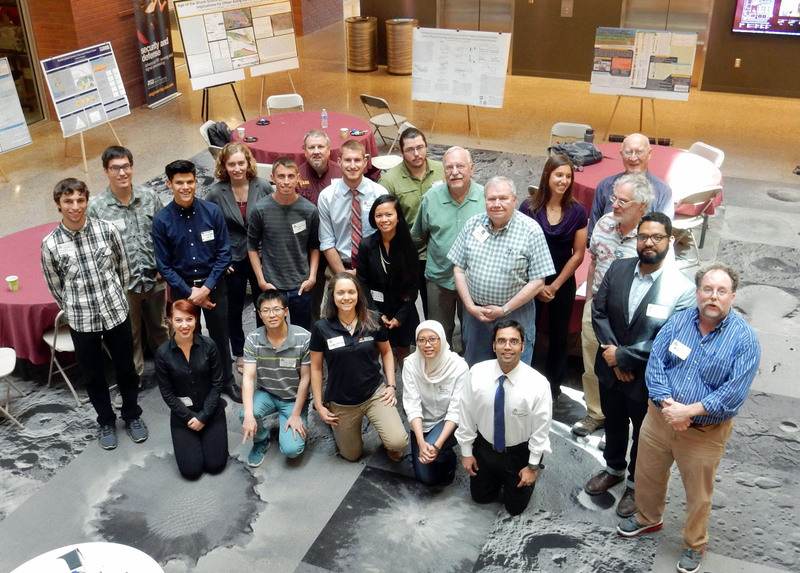 Special thanks goes to Bob Kamalli (AGS Vice President, Programs) and Steve Semken (Associate Professor, Arizona State University), who spent countless hours of working behind the scene to make this event a success. 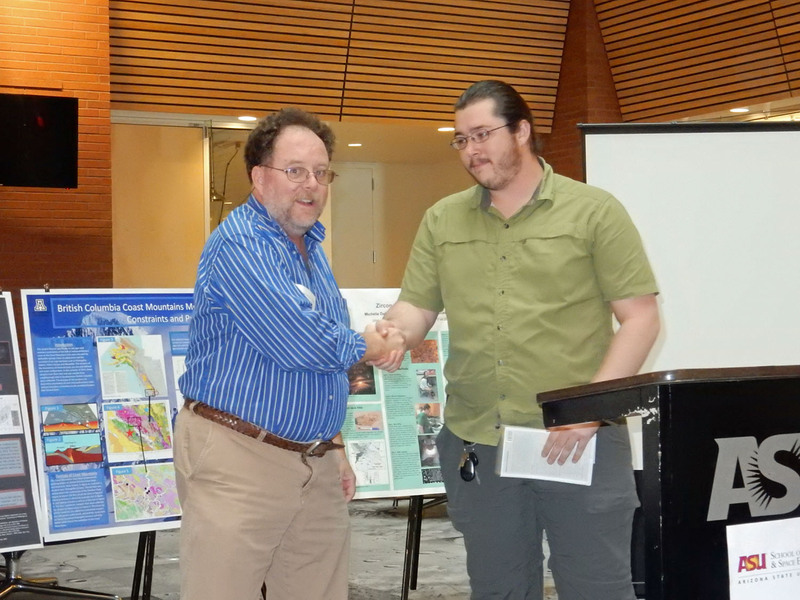 Mike Conway, AGS President, congratulates first prize ($500) winner, Jordan Abell, an undergraduate at the U of A, whose poster topic was: "Geochronology Study of the Loess Plateau for Comparative Statistical Analyses and its Effect on Asian Paleoclimate"
Mike Conway, AGS President, congratulates second prize ($250) winner, Nathaniel Borneman, a graduate student at ASU, whose poster topic was: "Age of the Shyok Suture in Ladakh, Northernmost India and Implications for Offset Along the Karakoram Fault"
Mike Conway, AGS President, congratulates third prize ($150) winner, Gayatri Indah Marliyana, a graduate student at ASU, whose poster topic was: "Tectonic Geomorphology of the Hanging Wall Blocks of the Cimandiri Fault Zone, West Java, Indonesia"
Mike Conway, AGS President, congratulates Michelle Dafov, an undergraduate from the U of A, who received an honorable mention ($50) for her poster; "Lu-HF Isotopic Trends during Shallow Subduction and Foundering of the Farallon Slab and the Resultant Magmatic Sweep Across the Southwestern U. S."
Mike Conway, AGS President, congratulates Marie Glenyss De los Santos, a graduate Student from the U of A, who received an honorable mention ($50) for her poster; "Paleoenvironments and Age Analysis of the Lobo Formation: A Laramide Syntectonic Deposit in southern New Mexico"
Mike Conway, AGS President, congratulates Kristen Whitney, a graduate student from ASU, who received an honorable mention ($50) for her poster; "Role of Biological Soil Crusts in Hydrologic Modeling of Western High-desert Ecosystems"
Ravidnra Dwivedi, Graduate Student, U of A: Similarities and Differences between Transport of a Solute and Water Age Mass: Why is the Picture so Blurry?